One of my big goals this year is to embrace simplicity in beauty more, and I can’t think of a better muse for this than Scandinavian culture. With a sleek yet minimal design aesthetic, the Scandinavian culture is known for beautiful, breathtaking creations that have us all yearning for a more streamlined, soothing palette in life. 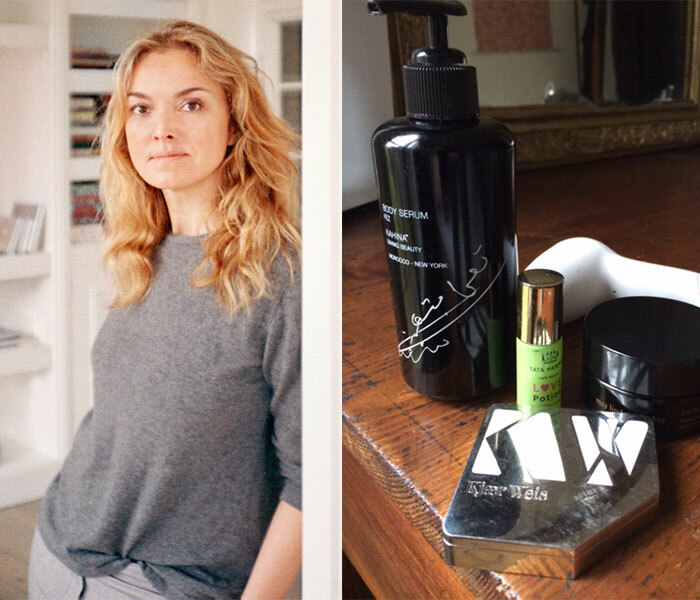 In the green beauty world, nobody brings this to your vanity better than Danish-born makeup artist Kirsten Kjaer Weis, creator of organic makeup line Kjaer Weis. When it comes to well-edited, smartly packaged beauty collections, Kjaer Weis is ahead of the game. Kirsten designed her line to be beautiful both inside and out, with high-performance organic and natural ingredients on the inside and heavyweight, sleek, refillable packaging on the outside. Anyone who has ever held a Kjaer Weis product knows how substantial and glamorous they look and feel! In addition to her approach to the Kjaer Weis line, Kirsten also exemplifies this streamlined, minimal-yet-luxurious approach in her green beauty routine. Her sampling of favorites below — just five items! — is a breath of fresh air, demonstrating how investing in fewer, better products can make you look and feel amazing. Buy what you love. Use what you buy. Support kind businesses. Love the scent. I will put it on several times a day, almost as a ritual of centering myself. I love the scent and I love how it absorbs really quickly. It makes my skin feel nourished and moisturized without feeling greasy. I use this every other day with a mild scrub, and I can really see the difference in the silky texture of my skin.